We all want to be happy, but how do we achieve it? 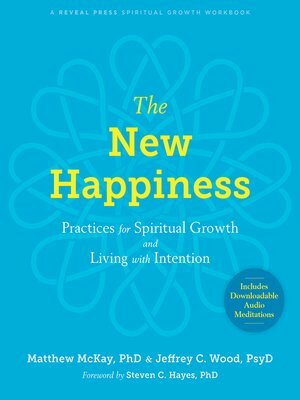 This unique workbook blends spiritual wisdom with evidence-based psychological practices to help you achieve lasting fulfilment. Most of us are searching for happiness in one form or another, but the "happiness" we've been conditioned to pursue is often elusive and fleeting. When we base our happiness on what we have—such as material possessions or status recognition from others—our happiness is no longer in our control. This workbook will show you that happiness is not about accumulating and consuming, or even achieving some deep state of spiritual bliss. Instead, you'll find a fresh perspective on how to achieve authentic happiness rooted in spiritual values and actions. Written by two best-selling authors in the field of psychology (The Dialectical Behavior Therapy Skills Workbook), this guide blends mindfulness-based spiritual practices with evidence-based acceptance and commitment therapy (ACT) to help you develop your own spiritual action plan. Using the practical guidance and exercises in this guide, you'll create a set of principles and behaviors aligned with your deepest values and sense of purpose, and learn to make decisions with a wise mind. Every moment of your life is an opportunity to make choices based on your own personal, deeply held spiritual values—why not start now? This workbook will give you the hands-on tools you need to get started.